The sprinkling of rain drops on the window. The soft glow of candle light. The deep humming of the organ. Could there possibly be a more romantic scene? This is a photo I’ve been sitting on since last year’s Knott’s Scary Farm. 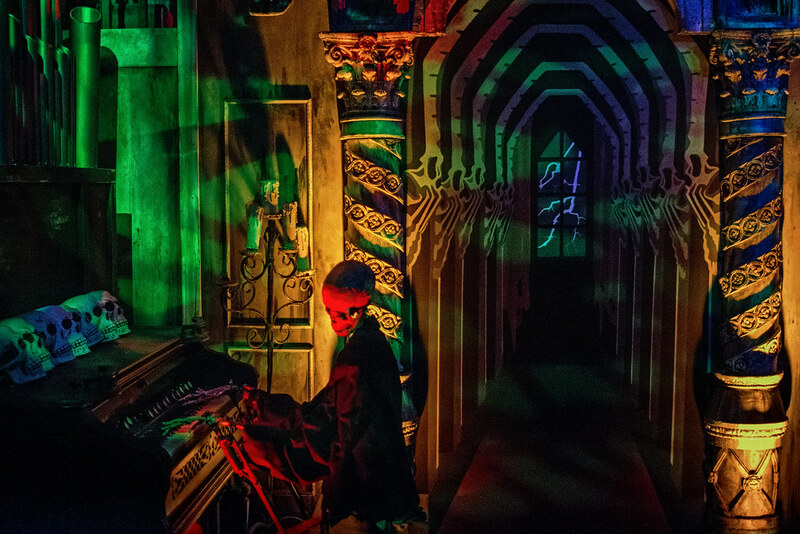 The name of the maze was ‘Dark Ride’ and this Scooby Doo-esque scene was my favorite portion of it. This entry was posted in Knott's Berry Farm and tagged Halloween, haunt, Knott's, lightning, maze, organ, scary, skeleton, spooky, storm. Bookmark the permalink.